William Houstoun occupied about 40000 acres of the Marquis of Sligo estate as a grazing farm from May 1851. This was almost a third of the whole Westport estate. This farm stretched over 32 townlands from Derrycroff on the western slopes of the Partry Mountains across the Erriff valley, the Sheaffrey hills, the Doolough valley, to the sea at Dooaghtry a distance of 17 miles as the crow flies. He also leased 5,200 acres in 1855 from Lord Lucan on the slopes of Mweelrea. 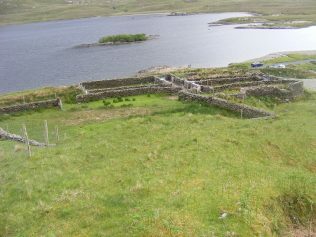 The farm was approximately half of the peninsula between Westport and Leenane. He initially inquired with the marquis of Sligo in 1849 or 1850 if there was a tract of land on which he could carry 10,000 sheep, the marquis invited him to have a look and Houstoun said there was an area around Doolough which would be suitable if the few scattered tenants could be relocated. He paid rent to the marquis of £785 per year. The few scattered tenants turned out to be about 180 families with about 1,000 people displaced for the Westport estate portion alone. Some of those people did find accommodation locally but many of these people must have emigrated as the population surrounding townlands did not rise significantly in 1861. In the townland of Ugool in the Tallavbaun area there were fifteen tenants in 1851 none were in arrears of rent. They had survived the famine and must have looked forward to better times. The marquis of Sligo rent ledger in 1851 had the note “will be let to captain Houston as soon as can be got in possession”. There was only one family herding there in 1861. 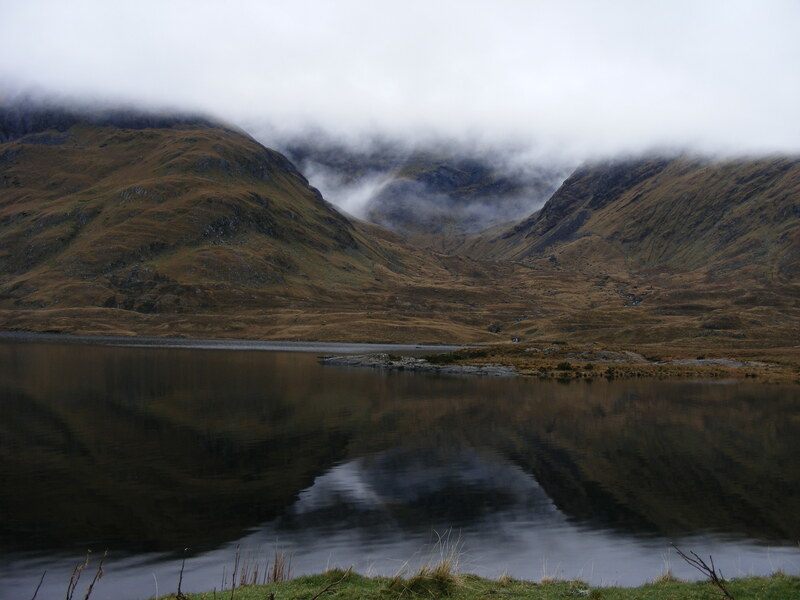 The Highlands of Scotland had suffered even more extensive clearances which had begun in Scotland in the 1790’s. Hill land suitable for large grazing farms was now scarce in Scotland. This made Ireland attractive. These farms were stocked with Cheviot or Scotch Blackface sheep in both Ireland and Scotland. The name is spelled Houston and Houstoun in different documents. In newspaper reports both spellings are used. You must search under each spelling separately to bring up all newspaper articles relating to the family. That was the spelling used in the 1800’s today it is spelled Doolough. When Captain Houston took possession in May 1851 he did not have a lease, John Plunket who had a lease on Delphi lodge would not give up possession and the lease was not signed until 1854. There was an option to renew the lease after 31 years. The lease was renewed again in 1883. Relations between Sligo and Houston were very good as Houstoun had Dhulough house built in 1854 and was valued at £15 in the Griffith valuation before he signed the lease. 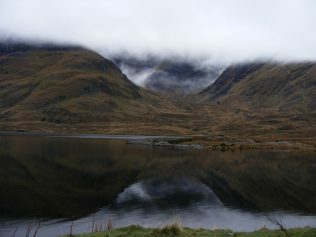 The house was built on a south facing site on the eastern shore of Doolough Lake in the smaller Glenummera townland with access to the house from the Glenummera valley. At that stage the only road from Westport to Doolough was the road through Drummin. 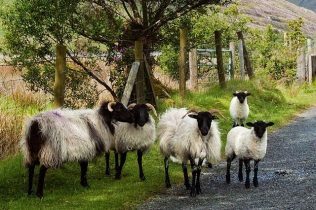 There were very few Scotch Blackface sheep in the country in 1850 and Houston had to import Blackface sheep from Scotland. Sheep farming was profitable in the 1850’s and his farm manager said they were making £3,000 a year profit after 1854. Wool was a major part of the profit from sheep farming in the 1800’s. During the American civil war in the 1860’s wool was very scarce and the profit doubled to £6,000 per year. It is not known where the wool was sold. The sheep were sold in Balla, Ballinrobe and Ballinasloe. In the early years the shepherds had to walk the sheep to the fairs and walk home again. When the railway line to Westport was built the shepherds still walked the stock to the fairs but the shepherds and their dogs now got the train back to Westport and walked home from there which might be 20 miles depending on who travelled. They had a problem with sheep stealing in the early years. 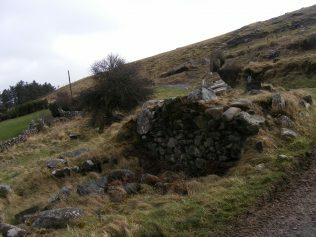 Many of the herd’s houses were along the farm boundary to prevent trespassing and sheep stealing. Matilda Houstoun the captain’s wife wrote a book “Twenty Years in the Wild West” about her experiences in Doolough. She said that one summer they sheared 23,000 sheep. They also had up to 500 cattle. There was no farmyard; the sheep and cattle were wintered outside. Only thin cattle were fed in winter. If stock numbers got too high they died off in a bad winter and the land then had a chance to recover. In 1883 there were 63 squatters were evicted. The occupation of the people is not given but they were either shepherds, or labourers. There were 16 houses in the townland of Bundorragha in the 1901 census but nobody in Bundorragha gave their occupation as a shepherd. The shepherds were the skilled workers on the farm, each one was responsible for his own flock of sheep. Each flock had its own home territory to which it returned if the sheep were taken home for any reason, this instinct in hill sheep makes shepherding easier. It was the job of the shepherd to keep the sheep away from dangerous areas, to look after weak sheep and to attend to the sheep at lambing time. Good dogs made the job of shepherding much easier. The shepherds also had to prevent neighbouring sheep and cattle from trespassing. Shepherds’ houses were close to their flocks and were often very remote. There was a shepherd for many years in Derreenalbanagh a townland along Killary harbour about an hour’s walk west from Bundorragha. The reason obviously was to prevent sheep been stolen and taken across the Killary. It was very difficult for the shepherds children to get to school. In the early years; the children from Laughta had to walk across the mountain to Bouris school more than three miles away over the Bunowen River. The journey to Tully or Derrymore schools when they were built was slightly shorter but they still had to cross the river which is very dangerous in a flood. There was no road to Laughta until 1927. William had been an army captain in the 10th Hussars before he came to Mayo. He must have had some farming experience as he selected the land for his farm very well. He built up his stock and farmed all the land. He was appointed a Justice of the Peace (similar to a Peace Commissioner) during his time in Mayo. He was not slow to use the law against his neighbours. In the three years 1859, 1860, 1861 he had his neighbours in court 90 times mainly for trespass and was successful in nearly all cases. He died in October 1872 and we are not sure if he was buried in Ireland or Scotland. But he was succeeded by his son George, who did not appear to have the same interest in the farm. It was sublet in 1876 but was taken back a few years later. The Houston’s continued as tenants until the farm was acquired by the Congested Districts Board from the marquis of Sligo in 1913. George Houston was in possession of Dhulough farm from c 1883 to 1890. that George was born 24. Nov 1840 in Dacre, Cumberland. His father was William Houstoun and his mother Matilda. I never heard of a hill called Houston Hill but that name may not have survive after the departure of the Houstons in 1913. The George Houston who lived at Dhulough Westport was born c 1840. He got possession of the farm in 1883 and left Mayo c 1890. His first cousin Alfred Houston Boswall took over the lease. There was another unrelated family of Houstons at Doolough Belmullet. I never heard an are called Houston’s hill but a place name like that might not survive, I did not see that George did military service. I am a descendant of William Huston. I have been reading the book “Memories of 80 Years”, by George Huston. In this book he references Huston’s Hill. Sometimes spelled Houston. Is the land referenced in this article related to this? I am very curious to learn more about the Huston history. Is there still a Huston’s Hill?, etc. Roberta Peterson. My grandmother Isabella married Robert Hadden, Alexander’s brother. I am in touch with Alexander’s granddaughter Sue in Ontario. To Derek Cassidy: Are you connected to the Alexander HADDEN b. Co. Tyrone ca. 1890, who moved to Canada in 1913 and was a Toronto police officer? I am researching the family (family history) and would like to correspond with you if there is a connection. Hello, I don’t know if anyone is still keeping up with this page. I live in Kentucky, USA and have been trying to do some family history. I don’t have a lot to go on. My Great-great-Grandfather was Arthur Houston, born in 1849 in Doolough, Kilcommon, Mayo, Ireland and married Bridget McGloughlan of Ireland. His father was James Houston of County Mayo Ireland and married Mary Ginugal also of County Mayo Ireland. That is the only information I have and I was hoping to find out more of my family history. My father, James Arthur Houston died in 1982 and the only info I remember him saying about the family was that we were Scots-Irish. Any information anyone has about my part of the family would be greatly appreciated. Click here if you would like to contact me. The names in this article are apparently not any of my family from any info I have but, but I don’t know where else to look. I am very new to this genealogy searching. Thank you. Hello there, Derek, I hope you don’t mind me jumping in! I hope you are well. Sean, Hello, my father is Martin O Malley from Cloonty, Kiladoon, his Mother was Agnes McDonell from Thallabawn, her Father was James McDonell, James’s younger sister Isabella is where my self and Derek are related. I, like Derek, have had an interest in this particular piece of family history. I have also been inside Killary Lodge, thanks to a local lady who holds the key. There was another Una O Malley in the locality, known as Winnie, she contributed a lot to the Coinneal. I spoke with her at great lengths with her about that time. She remembers well, James McDonell funeral, where his older brother John, (retired RIC) 1938 – I think, he was back for the week, and gave her sweets! – he like his brother and father, was very tall, a real talking point in the locality. – Donald and wife Sarah, his sister Agnes, and the Grant family all moved to Ballymena, (ahoghill) – I found his grave, and the grants grave, but nothing for spinster sister Agnes! – a very kind man in the Belfast registry office helped me search records for Agnes, death, Ireland and Uk, and a wide variety of dates, but actually nothing has ever turned up.! In Kileen, James McDonell and Honor Durkin are buried, James died in 1938 (as far as I can remember) Honor died after in the 40’s, just interesting note: his name was added to the headstone after her death! – apparently because he married INTO the house, not the other way around, which was the usual. name: they shared correspondence : Mrs John McCaughy, Aoghill, Ballymena. And Dads Auntie Nora (deceased) in Curramalie, wrote to Derek’s Mother, Actually Auntie Nora, now her daughter nora have a mass card for Agnes Hynd McDonell !! – Hugh’s Wife. Next time I meet Nora,i must copy it. Derek, cheers for the photos some of which i hadnt seen previously. Keep in touch. Una. irishuna@gmail.com – Sean, I do travel up from Galway a lot to Kildadoon, feel free to email if you want to chat. Captain Houstoun died in 1872 and was succeeded by his son George the executors of the will let the eastern part of the farm in 1873 to Mitchell and McFarlane and were still in charge when they let the remainder to William Barber in 1875. All the land came back to George when the main Sligo lease expired in 1882 but the lease was renewed and George was now in charge. About 1890 Alfred Boswall Houstoun of Northumberland appears to have sub leased from George and he remained in charge until the farm was given up in 1913. Hugh McDonnell may have come as a supervising herd to Dadreen initially but not Land steward. It may have been a man by the name of Little who was Land Steward in 1875. Hugh may have replaced him. You say his family were shepherds in Scotland he was probably brought to Mayo as an experienced shepherd. You mention a place called Knappagh there is a Knappagh three miles from Westport but I presume it is Scottish village. Sean, good to hear from you. I was born and raised in Scotland but came down to England for work and for the last 5 years have been retired down on the south coast in Bournemouth. My mother, from whom I got pretty much all I know about my grandmother, Isabella, always talked about them living at Killary Lodge. I only came across the Sixnoggins information from the 01/11 Census data when it was released so your idea about them living as Dadreen may be a good one. My mother kept in touch with her cousin Nora at Carrowniskey and later with her daughter Bridget. I’m in touch with my cousin Una O’Malley who’s a daughter of James MacDonell’s grandson Martin. We’re pretty certain Hugh went across to Mayo around 1870/71. James his son is shown as being born at Knappach in 1870 but the family don’t appear on any subsequent Scottish census returns. Hugh’s wife Agnes is buried in Louisburgh and her gravestone lists two children who died young, Ellen and Annie. With Donald and Isabella that still leaves two other children to be accounted for! Donald stayed on on the estate after Hugh went back to Scotland but I don’t think he made much of a success of it. Donald was a shepherd. It’s pretty clear on the 1901 return but I agree that by 1911 Hugh’s handwriting left something to be desired! The photographs were definitely ent to my grandmother by the Houstons and when Hugh went back to Scotland I have a feeling that he was still working for them in the Lammermuirs. How he got the job in Ireland and with whom, however, is anybody’s guess, so he might well have been hired by Mr Barber and then asked to stay on when the estate reverted to the Houstons. I’ve finished uploading the photographs so you’ll maybe have a chance to see them soon. I wrote the article and I am very interested in that period and I am very interested in the photographs. I have not been able to establish when the various farm managers took over. Captain William Houstoun died in 1872 and was succeeded by his son George he in turn brought in his cousin Alfred Boswall Houstoun about 1890. The eastern end of the farm was sublet in April 1873 and the remainder in 1875 by the executors, to William Barber. it all came back to George when his lease was up in 1882. Could your great grand father have been hired by Barber? The Thallbaun Six Noggins end of the farm did come to Houstoun until 1890 when John Louden gave up farming. Hugh may have lived at Dadreen before Killary Lodge became available in 1890. The 1911 census for Six noggins is available at the link below. Hugh says three of his children were born in Scotland and six in Mayo. I cannot make out Donalds occupation The national archives interpret as R Curate. I know James McDonnell of Thallavbaun but I did not know of other relatives. Are you living in Ireland or Scotland? I live in Westport and I am a retired Agricultural adviser. My great-grandfather, Hugh MacDonell, a native of Invernessshire was the head stockman at Killary Lodge, part of the Houston landholding. His own clan, the MacDonells of Glengarry, had been one of the first to be ‘cleared’ out of their ancestral land to make way for sheep. It was ironic therefore that he, like his father and grandfather before him, became a shepherd. 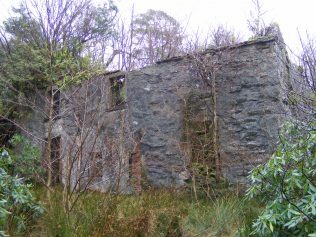 I know he was still in Scotland in 1870 and that he had returned there by 1911 but believe that he spent most of the intervening period at Sixnoggins, a townland adjoining Killary Lodge. His second son James married an Honor Durkin whose father had been one of those dispossessed by Lord Sligo to make way for Houston’s ‘ranch’. 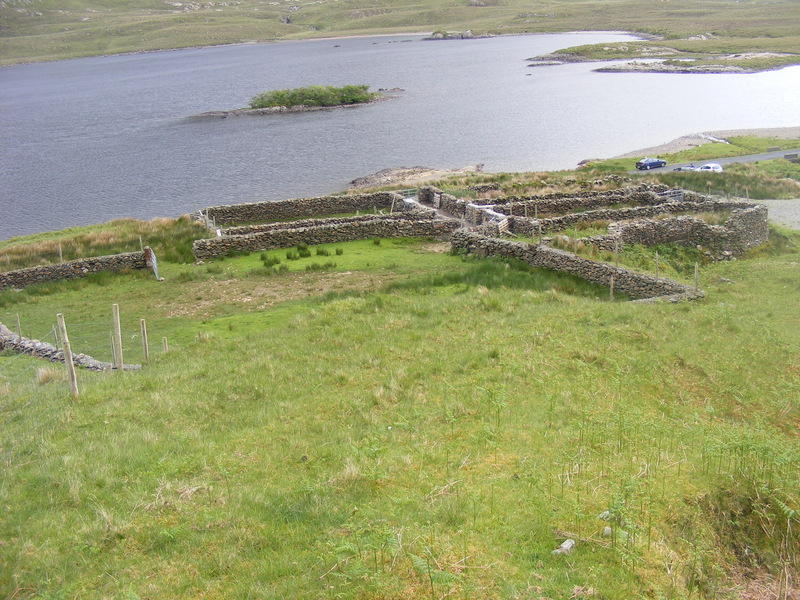 James and Honor lived at Tallavbaun and their descendants still live in Mayo, Galway and Clare. My grandmother Isabella was the youngest of Hugh’s children. She married a Tyrone man, a constable in the RIC, and left Mayo when he was transferred to Belfast. In 1922 with the disbandment of the RIC the family moved to Scotland. She died in 1947 but never ceased to regret that she could no longer step out of her house and see the hills of Connemara. The Houston family gave her a photograph album as a memento of her time with them. I will try to upload copies in case anyone should find them of interest.